Real Weight Loss | Nancy Guberti, M.S., C.N. Ever wonder why it’s so hard to lose weight? Could obesity actually be healthcare’s failure to understand what’s really going on in our body as opposed to our lack of ‘will power’? It’s getting harder to figure out what’s the healthiest way to lose weight. There are so many factors such as your age, hormones, food cravings, stress level, mindset, exercise or lack of, ‘will power’, processed foods, sugar…the list goes on and on! So what do you do? Let’s gain some basic understanding as it starts with hormones. Hormones tell your body whether to burn fat and in turn, lose weight or to store fat and most of the time, you’ll gain weight. Insulin is the hormonal signal to the body to increase weight. It is released by the pancreas in response to increased blood sugar, facilitates transport of glucose into the cells of your body and signals to the liver to convert glucose into glycogen for storage. When there’s an overabundance of glycogen then these increased insulin levels stimulate conversion of glucose into triglycerides (fat) for long-term storage in fat cells. Remember that insulin tells your brain whether or not you should eat and informs the brain about the energy status of your body. The ‘fat storage’ cells, called adipocytes, produce the hormone leptin, which acts as negative feedback control for adiposity (fatness). Leptin is secreted by the ‘fat’ cells in direct proportion to the amount of stored body fat, in (subcutaneous fat). Leptin interacts and stimulates the brain causing a reduction in food intake and increasing energy expenditure. Here’s a caveat, too much fasting or consuming too few calories on a regular basis can lower sensitivity to leptin, which leads to lowered metabolism, increased hunger, sugar and carbohydrate cravings and lack of energy. It can also spike cortisol! Keep a food journal to determine if fasting is beneficial or when you stop, i it still benefecial. Everyone reacts differently but keep in mind that fasting can cause cortisol spikes, leptin resistance and insulin resistance, which is why you gain weight whenever you stop. Some enjoy fasting and use this protocol with positive results: daily calorie intake must be sufficient and only from nutrient dense foods for an 8 hour window for example from 10 am to 6 pm. then you fast for 16 hours. Diet, exercise, feel lousy and still can’t lose weight? Insulin resistance occurs when more insulin is required to maintain a normal level of blood glucose. Also can occur when there is a decrease in insulin receptors in the brain and as a result those high levels of circulating insulin do not decrease appetite the way they are supposed to. Well, while under the influence of insulin, your body receives instructions to “gain fat”. In response, you eat more and/ or decrease energy expenditure. It is not a voluntary act. So the question is NOT how to balance calories, the question is how to balance our hormones. and reduce insulin as well as nourish our adrenal system and neurotransmitters. Insulin also affects your adrenals or thyroid. Adrenal burnout, adrenal fatigue, severe hypoglycemic, Hashimoto’s Thyroiditis Autoimmune Disease and other diagnosis need to be treated from a whole body approach since many systems are affected by the imbalance. Your adrenal glands are responsible for hormonal balance in the body, and assist in converting cholesterol to a variety of hormones, including cortisol, estrogen, and progesterone. Many times legumes become problematic for people with hormonal imbalances. Low Serotonin and dopamine connection: There’s a link between reward, specific neurotransmitters and the controls of food intake…Dopamine and serotonin in the hypothalamus have been shown to be involved in the regulation of eating behavior. Eating too much sugar affects insulin which in turn affects leptin. Leptin inhibits the motivation to feed by activating dopamine and GABA expressing neurons. A leptin deficiency is associated with an increase in the drive to eat even when the you’ve just eaten. Interesting enough, fasting or consuming too few calories on a regular basis can lower sensitivity to leptin, leading to increased hunger, cravings and lack of energy. As you can surmise, there’s a delicate balance going on in your body that impacts your eating so controlling insulin by avoiding high sugar consumption and balancing your neurotransmitters are important for regulating hunger and sugar cravings. Intestinal parasites, imbalance of good and bad bacteria (flora) and candida can cause some serious sugar and carb cravings. The cravings, foggy brain, and extreme fatigue need to be addressed so you can eliminate these unwanted conditions from your body. Let’s move on to another hormone, cortisol, the so called stress hormone. An excess cortisol may also cause weight gain. Did you know that a synthetic form of cortisol is the medication prednisone. It’s an anti-inflammatory and often used in the treatment of asthma, lupus and other inflammatory disorders. Just another example of how hormones are complex and affect your metabolism, energy, mood and overall health. Having a diet in place that controls your glucose levels is also as equally important as managing your eating habits to prevent sugar spikes. Controlling insulin by avoiding high blood sugar is important for regulating hunger. Eliminate the foods that promote inflammatory responses, disrupt your hormones, or negatively impact the health of your gut. Gluten is a trigger of autoimmune symptoms and digestive stress in our modern diets so eliminate it. Add more nutrient dense vegetables. Go organic as pesticides, plastics (do not microwave them), personal care products/cosmetics and detergents (use natural, free of dyes) affect hormones in the body. Please remember that this is a journey and slow and steady wins the race in terms of weight loss and controlling hormones. There are other hormones as well such as ghrelins role in the hunger feedback loop which is closely tied to the hunger/ adiposity ‘fat storage’ cycle. Clearly, consistency is crucial! Did you know that the metabolic pathways for utilization of fats and carbohydrates are deeply and intricately intertwined. Considering insulin’s profound effects on carbohydrate and sugar metabolism, well insulin also has important effects on lipid metabolism. Insulin inhibits breakdown of fat in adipose tissue by inhibiting the intracellular lipase that hydrolyzes triglycerides to release fatty acids. and then is involved with the accumulation of triglyceride in fat cells. Some supplements to consider if you still need some support, here’s some of my favorite products. ALWAYS consult with your healthcare professional before using any products. Product Code: CDX84 Candida Plus enzymes to take on empty stomach to help rid candida overgrowth Many people will lose several pounds of unwanted weight when they incorporate this supplement in their daily regime. Product Code is: THY25 for quality probiotic offering 50 billion good bacteria and contains strains of Bifidobacterium and Lactobacillus that have been shown to improve anxiety- and depression-like behavior, which tend to alter eating behavior. Magnesium helps your body do is improve the overall sensitivity of your insulin receptors. This helps your body better manage the foods that you provide it and turn that food into fuel it can use. ALA (Alpha Lipoic Acid) hinders fat cells from consuming additional sugars, which means it can also help diabetics control their weight better. Shortages in B-vitamins can have a negative effect on our metabolism. Check if you’re Vitamin D deficient because a deficiency can create an imbalance in hormone levels. Keep a food and supplement journal so you can monitor your progress and add in one new protocol at a time. 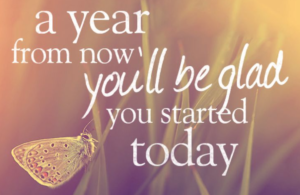 Start with clean eating, healthy sleeping, stress reduction, exercise, supplements and keep going as you enjoy the health journey to your ultimate healthy lifestyle. It’s time to Take Charge of your health by joining Total Wellness Monthly Membership today. This is a proven system that keeps you moving towards your optimal health goals with weekly videos and action items. Love for you to join the Community! You can reach your weight loss goals and optimal health. Don;t go it alone. 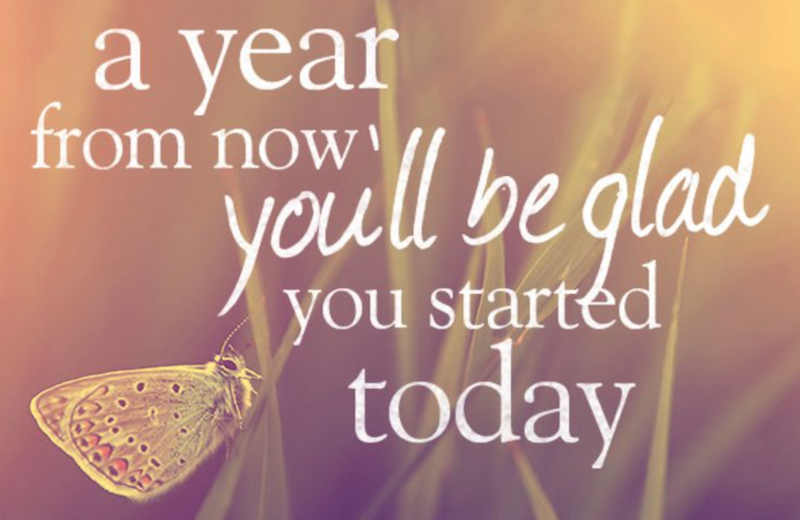 If you don’t start today, how will you feel in a year? Not ready to take charge of your health today? At the least, sign up for this free tele seminar reviewing Real Weight Loss and make a difference for yourself today. Be Empowered! Click here to get access to the information and if you attend during the live call then you can ask questions, otherwise, you will receive the replay to listen at your leisure.